Sports are defined as competitive or recreational activities that involve the use of physical skill, intelligence, and hand-eye coordination. Down through history, people have invented sporting activities as a way to display physical abilities, to offer exciting contests, and to socialize and entertain each other. Early games were probably based on survival activities, such as hunting and gathering, whereas the more organized sports of today continue to serve as recreational diversions, and as physical and emotional outlets. Daily Mail. Saturday, 20 Apr 2019 23:26:34 GMT. Free Press Sports Staff. Burlington Free Press. Saturday, 20 Apr 2019 16:23:14 -0400. All sporting endeavors share the concept of excelling in one's physical abilities, as well as the need for rules to establish a fair context for performance. The British have led the way in setting sports rules while modern performance measurement methods have prompted the development of detailed record keeping systems. The modern Olympic games movement has contributed importantly to popularize a variety of sports, and the emergence of professional sports, along with today's media, have driven impressive growth in sport's social and economic impacts. Today, sports are a cultural phenomenon which transcend national borders, as sporting event gate receipts are increasingly supplemented by financing from media rights and sponsorships. A team sport is one in which one group of people (a team) opposes another group of people with the common goal of achieving victory. Team sports differ from individual sports, where victory is achieved through individual merit rather than teamwork. Team sports are popular throughout the world on both professional and recreational levels. 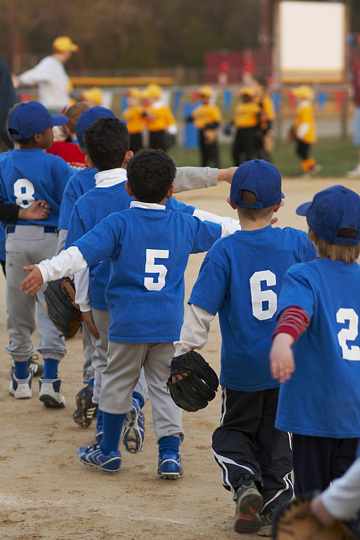 The team sport of baseball is considered "America's pastime" and garners a large number of amateur players and spectators, along with football and basketball. Lacrosse is considered the "Canadian national game" and ice hockey is also a very popular sport in Canada. Soccer is the most popular team sport in Latin America and many other parts of the world. Other team sports include field hockey and volleyball. Some sports and athletic events such as swimming, skiing, and track and field can be considered individual and/or team sports depending on the type of competition. Many team sports use a ball, as in basketball, soccer, tennis, and volleyball. Teams may contend for possession of the ball, as in basketball and soccer, or they may consist of a volley back and forth, as in tennis and volleyball. Team games where a ball is hit or passed by means of a stick, known as stick and ball games, include baseball, hockey, and lacrosse. Other team sports such as swimming and track and field may not use any specific equipment. People are social by nature and most people enjoy participating in team sports for the sense of camaraderie and teamwork that is not experienced in individual pursuits. Whether used as training or for recreational enjoyment, team sports have been a part of virtually every society for thousands of years and will continue to be enjoyed by participants and spectators alike for as long as there are people to play. Outdoor sports are enjoyed in many different forms, often influenced heavily by the local climate. These sports may be in the form of team participation, or they may be more solitary pursuits. People are involved in sporting activities for many reasons. Team sports provide competition, social interaction, and excitement. Solitary sports are often pursued for physical exercise, personal objectives, or relaxation. Warmer seasons and temperate climates provide an optimal environment for most outdoor sports and recreation. Temperate weather and coastal climates are ideal for many water sports such as surfing, water skiing, and scuba diving. Mountainous regions, receiving winter snowfall, are perfect for skiing, snowboarding, and snowmobiling. Cold winters with freezing lakes and ponds create natural settings for ice fishing and ice skating. While fishing and hunting can be year round pursuits, the type of fish and game will vary depending on the season. Hiking and camping are popular recreations which can be enjoyed year round, although many people prefer to participate in the spring or fall, to avoid temperature extremes. Rock climbing is also a year round pursuit, but care and consideration should be taken as to the weather conditions when climbing in high mountains. Canoeing, kayaking, and other water sports are an option wherever lakes and rivers abound, although special forms of canoes and kayaks can be taken into the ocean. 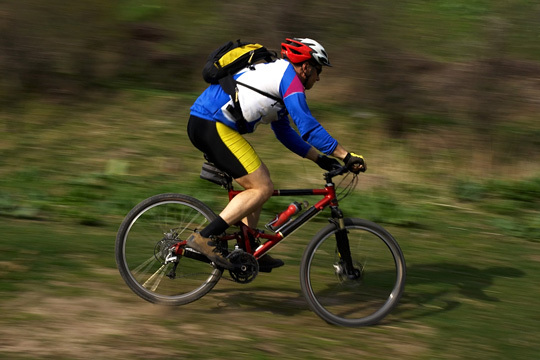 Cycling is a sport enjoyed worldwide, and is usually pursued in the warmer seasons, although avid cyclists may ride all year. Many team sports can be played outside, most notably baseball, football, soccer, and basketball, as well as field hockey and lacrosse. The very nature of these games typically requires them to be played outside due to their space requirements. Basketball is both an indoor and outdoor game, although professional level games are held indoors. A version of soccer, called indoor soccer, has been tailored for indoor gyms, allowing this game to be played both indoors and outdoors. 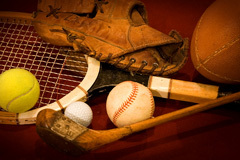 Sports-Information.org features information about many popular sports activities as well as Olympic, professional, and college sports organizations. Most sports require a variety of specialized sports equipment and apparel, and you will also find convenient links to selected sporting goods resources. International Olympic Committee - an international organization that is committed to building a better world through sport. Sport Accord - International Sports Federations - a not-for-profit organisation that hosts an annual event in the service of sport. National Collegiate Athletic Association - founded to keep college sports safe, the organization promotes safety, excellence, and physical and mental well-being for student-athletes.